Conventional methods don’t necessarily equate to being the most effective. Traditional Chinese Medicine (TCM) has been steadily gaining traction in Singapore, and plenty of folks seek out all kinds of cool (and intriguing) TCM treatments like herbal medication, acupuncture and cupping. Let’s face it. Many of us have a strange and profoundly inexplicable fear of any medicinal practices that lie outside the norms of the mainstream, viewing them with a slightly raised eyebrow (or two) and even dismissing them outright as new age mumbo jumbo (even though they are often ancient). It probably goes without saying that these fears aren’t always justified. After all, it's been officially recognised and regulated by MOH since 2004. Furthermore, shouldn’t ancient techniques that have been applied over centuries of practice (since before you were crawling around in diapers) hold some degree of weight? Physician Lee Jin Shun, a registered TCM physician, has a thing or two to say about this. DxD Sessions features his opinions on TCM treatments in Singapore as he answers the most common questions surrounding the topic. It’s time to stop counting sheep and start counting sleep! To a reader going through a spell of bad insomnia, Physician Lee explained that everyone is born with the innate ability to fall asleep. Just like breathing, sleep should happen naturally. Sometimes, we just need a little help to tune back to regular sleeping patterns. Possible factors that affect sleep can range from allergies, indigestion and pain to stress and anxiety, with mental stress and fatigue making up a good number of cases that the physician has seen. TCM states that insomnia comes out of an imbalance in yin and yang, which is analogous to the circadian rhythm. You can thank modern technology for helping us work 24/7. You can also thank (or unfriend) modern technology for near constant exposure to information and ultimately over-stimulation of the excitatory system. Physical consultation is needed to evaluate the underlying problem, after which common solutions including herbal prescription and acupuncture can be implemented. Patients are advised to abstain from mental work or the using of smartphones at least 1-2 hours before bedtime. To a curious reader, Physician Lee explained that 'Qi' has its philosophical roots in Taoism, and is believed to be the vital energy behind all occurrences in a living entity (and not to mention, the universe). It's movement plays a pivotal role in wellbeing and originates from two sources; innate or inherited from our parents before birth as Essence, or acquired after birth from our diet, air and water. According to the physician, we are given the innate ability to digest food through enzymatic breakdown and intestinal contraction, but we will need continuous (acquired) supplementation from our diet and oxygen to replenish this innate ability. A reader was told that she had a yin and cold body type. Physician Lee explained that 'Body type' is a mode of classification founded on TCM principles and observations which categorizes an individual’s constitution based on his/her predominant physical and psychological characteristics. Ultimately, it pinpoints an individual's temperament and susceptibility to certain medical conditions. A yin and cold body type basically means Yang deficiency (low in Yang energy) which results in cold extremities and being sensitive to cold weather and environments. Typically, a Yang deficient person is susceptible to water retention and excessive weight gain (but don’t make it an excuse to reach for that third tub of ice cream). Can TCM physicians diagnose every illness just by taking your pulse? Not exactly, real life is (unfortunately) not always as magical as it is in the movies (sorry). Physician Lee pointed out that pulse taking is crucial, but doesn't necessarily provide adequate information to make a diagnosis. TCM has no side effects? Reeeally? No, not really. Responding to a reader that assumed there are no side effects to TCM, since only natural herbs are involved, Physician Lee stated that natural doesn't always equate to safe. Poisonous plants and fruits do exist, and these can be no fun once consumed. Of course, physicians are well-trained and the herbs they prescribe have been used for centuries, so chill, stop sweating. Rest assured that, as long as you consult a professional, you're generally in safe hands. Chinese proprietary medicines (CPMs) are also regulated by the Health Sciences Authority of Singapore (HSA) and manufacturers of medicinal herbs are obliged to ensure that they comply with local regulations, so it's best to seek treatment from a licensed TCM practitioner (and not some dodgy guy with his baseball cap pulled all the way down in a dark back-alley). Physician Lee mentioned that physicians learn about various organ systems and their functions during the TCM Diagnostics module. The basis of TCM diagnosis is called syndromes classification (辨证型), which are sets of signs and symptoms grouped together. After collecting the medical history, signs and symptoms of patients through the four aforementioned diagnostics methods, physicians analyze the information and derive a syndrome. This essentially, lays down the foundation for a treatment methodology and plan. A reader was curious about the meaning of toxicity in Chinese Medicine. Physician Lee explained that Toxicity refers to undesirable and harmful effects produced by an herb that is unintended with regards to its therapeutic effect. This can occur as a result of an overdose or when a drug has a narrow therapeutic index; the difference in its effective dose and toxic dose is very narrow. This specific reader read that apricot seeds and ginkgo nuts have a mild toxicity. Apricot seeds do indeed contain a compound which is converted to cyanide in the body, which inhibits the brain’s respiratory centre (which explains its ability to relieve coughs and asthma). However, over-consumption over a long period of time may lead to cyanide poisoning. Herbal medicine physicians offer prescriptions that are in accordance with TCM Pharmacopoeia. Can sudden diseases be treated by TCM? One reader asked if TCM is good for treating sudden illnesses like Acute Coronary Syndrome (ACS). While TCM has been known to relieve symptoms associated with chronic diseases like diabetes and cancer, the physician warned that Acute Coronary Syndrome is a medical emergency and should be attended to promptly by a hospital medical team. After the condition has stabilized, you may consider TCM treatment to possibly prevent further deterioration. ACS could be managed under 'chest pain' in TCM and a consultation would be necessary to assess the situation. So how effective is TCM really? Well, the physician said that "It depends on what medical condition you are seeking treatment for." As an example, the World Health Organization (WHO) recognizes that acupuncture is a great way to deal with painful conditions like sprain, muscle strain or arthritic disorders and some patients experience immediate relief after a single treatment, while some don't. Herbal prescription obviously takes more time to take effect, since the dose needs to build up in the bloodstream. Other conditions that require a longer course of treatment include chronic conditions such as osteoarthritis, diabetes and high blood pressure. Acute conditions, however, such as the common cold and back sprain tend to result in faster and better results. What this likely means is that TCM is effective to varying degrees according to the situation. It isn't a one-size-fits-all kind of deal (but that doesn’t mean that it can’t be a great fit). Hopefully this session has got your all curious to learn more about how Traditional Chinese Medicine can possibly help you or a loved one. As an authentic and pretty effective means of treating illnesses, TCM could very well be the solution for you. Stay informed, however, because knowledge, young dragonfly is power. Ever wanted to ask a health question to a specific specialist in Singapore? 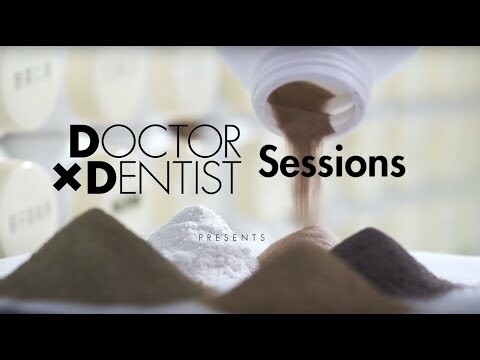 DxD Sessions are when these medical professionals answer all your questions, for free! Not the answer you're looking for? Browse other answers tagged TCM Singapore Healthcare or ask your own question now FOR FREE.